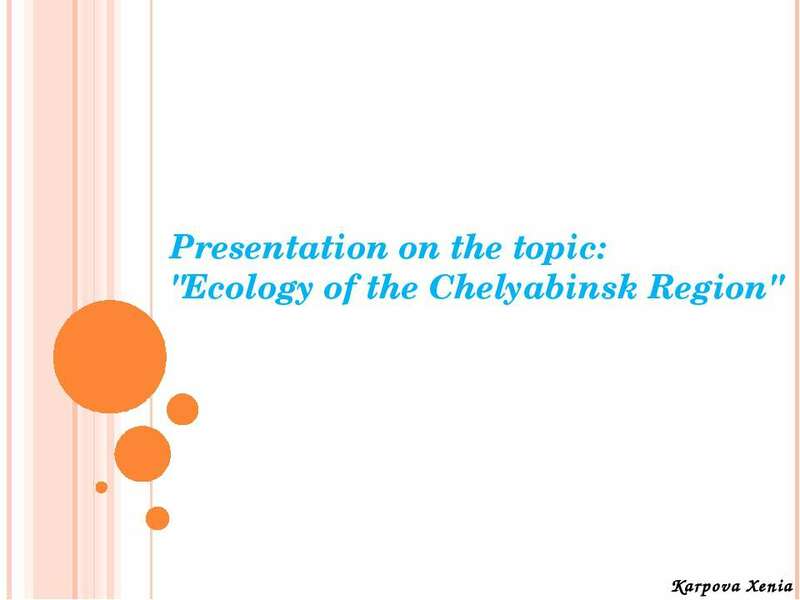 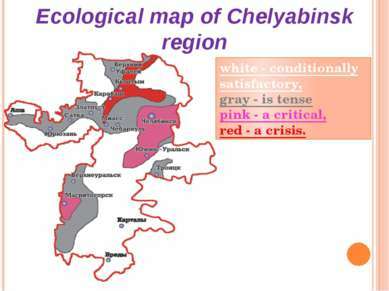 The ecological situation in the Chelyabinsk region. It may be noted several favorable factors: a small population density, only two relatively large cities, sufficient water and forest resources. The ecological situation in the Chelyabinsk region. However, the high concentration of industrial enterprises with highly inefficient process create a very hard environmental conditions in parts of the region. 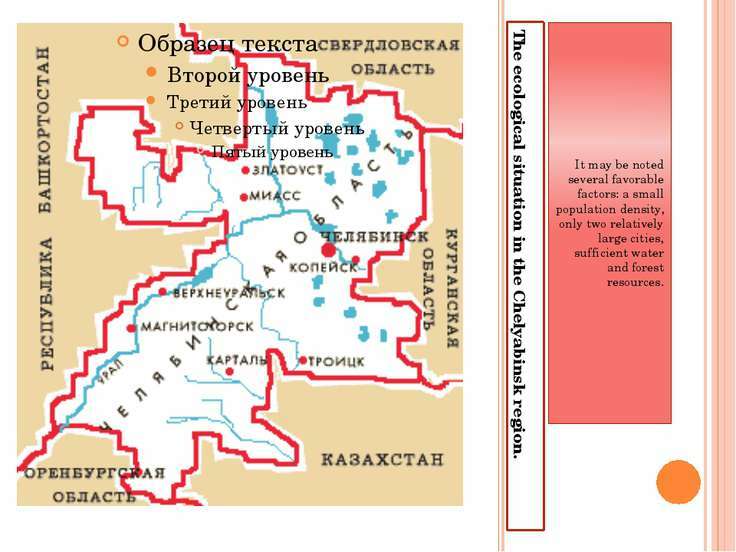 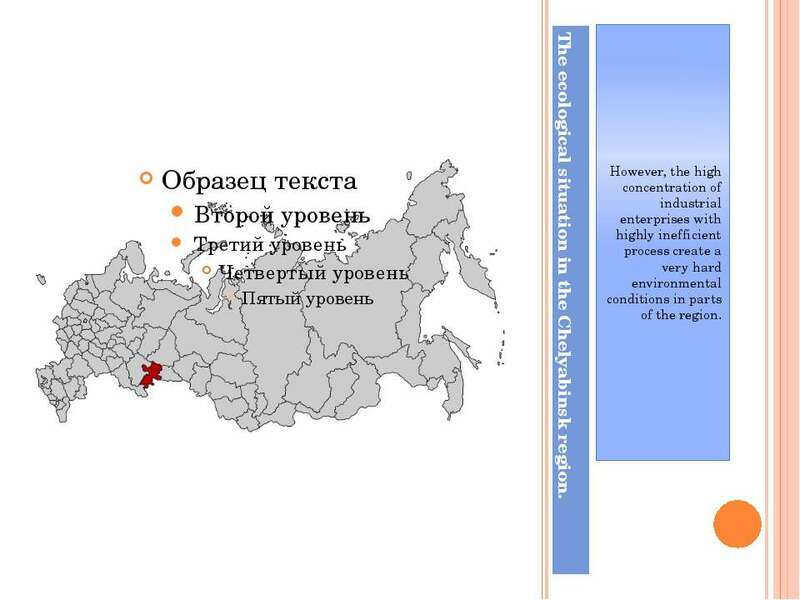 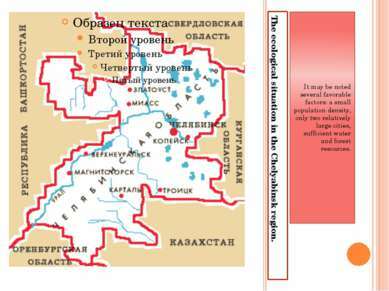 Ecological map of Chelyabinsk region white - conditionally satisfactory, gray - is tense pink - a critical, red - a crisis. Overall, 52% of the area contaminated waste production due to the activity of ferrous and nonferrous metallurgy, mining and coal industry. 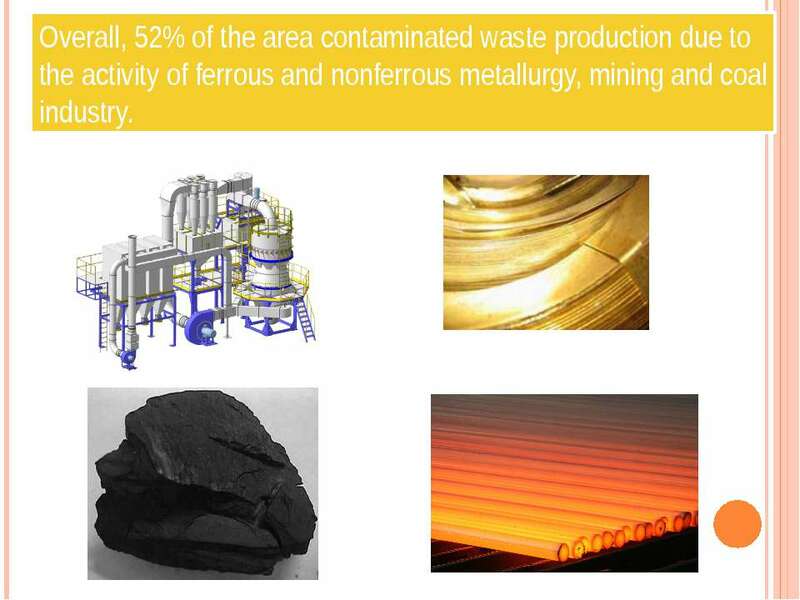 The main air pollutants are enterprises of the fuel energy, coke, electrodes and metallurgical enterprises. 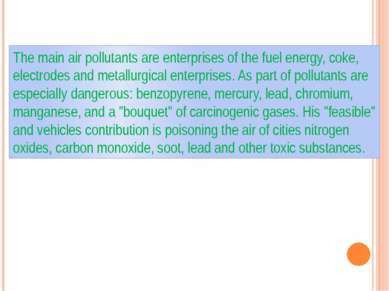 As part of pollutants are especially dangerous: benzopyrene, mercury, lead, chromium, manganese, and a "bouquet" of carcinogenic gases. 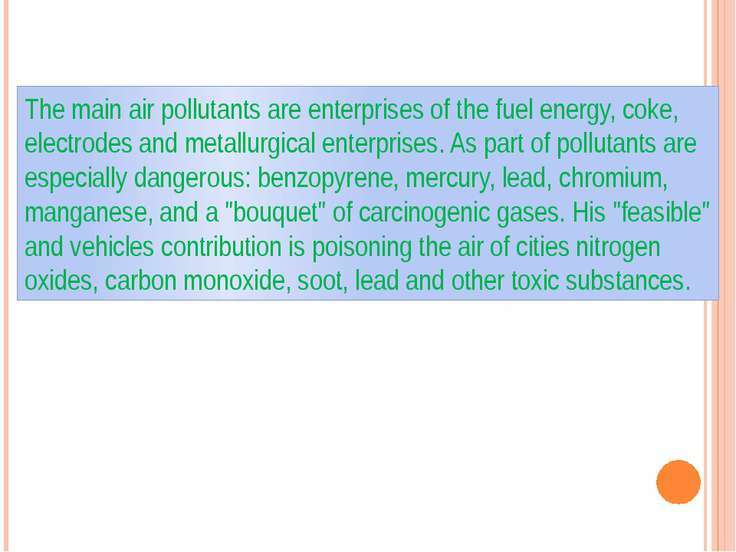 His "feasible" and vehicles contribution is poisoning the air of cities nitrogen oxides, carbon monoxide, soot, lead and other toxic substances. 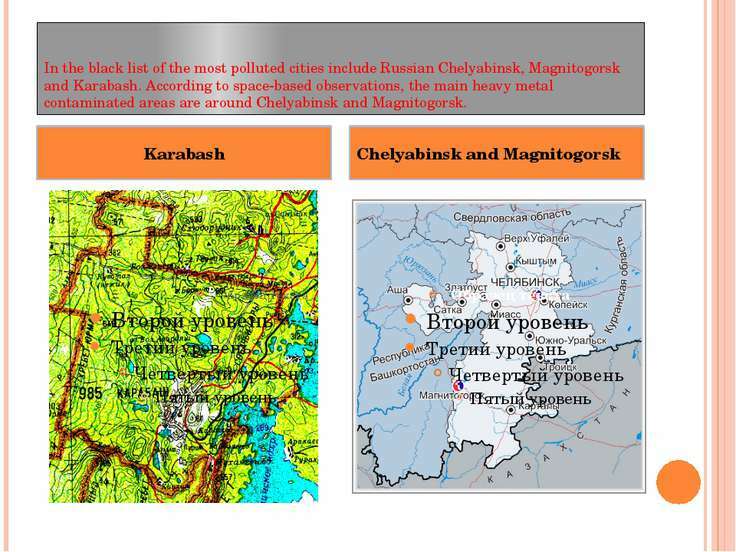 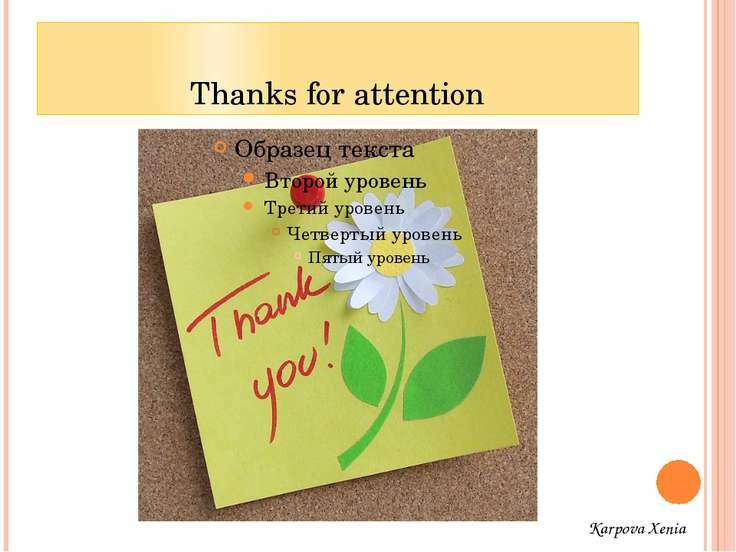 The main receivers are polluted water basins of Miass, Ai, the Urals, the Techa. 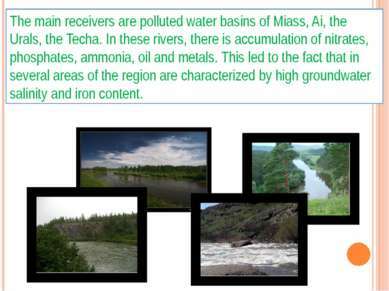 In these rivers, there is accumulation of nitrates, phosphates, ammonia, oil and metals. 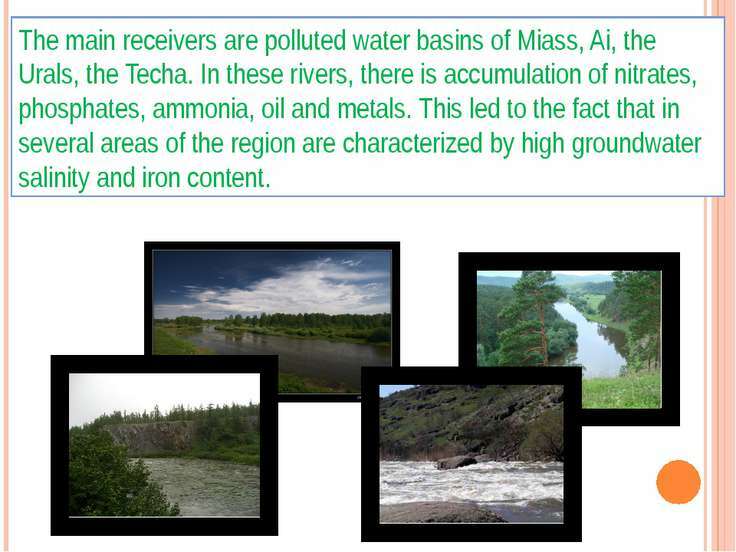 This led to the fact that in several areas of the region are characterized by high groundwater salinity and iron content.